In 2009 Botho University launched an ICT based competition called LINKZ ”The ICT Challenge”, which brings together the best ICT students in the country and is currently the only competition of its kind. LINKZ is the brainchild of Botho University academic staff and tests students’ knowledge & application capacity in the field of IT. Since its inception in 2009, the LINKZ competition has seen most of the tertiary institutions in the country participate in an exciting battle of technical skill, speed and knowledge. LINKZ started with an aim to bring together the Botswana student community in the field of IT from across the country by fostering learning excellence through healthy competition. With the growing popularity of the LINKZ competition it was decided to include secondary schools also in the event. In 2012 LINKZ brought together students from secondary schools across the country to participate and the response was overwhelming. LINKZ continues to be an event to watch out for on the calendar of schools and tertiary institutions in Botswana. Plans are also underway to broaden the scope of LINKZ making it much more than just an IT event and include business, accounting and other fields. Mega prizes for winners of each event and the top secondary school and tertiary institution including printers, cell phones, speakers, CD drives, Bluetooth devices and gift vouchers. The event also rewards audiences with on the spot competitions and exciting giveaways. Winners have also been featured on prominent newspapers and radio stations. So what are you waiting for? LINKZ 2016 is back and we look forward to seeing you bring glory to your school or Tertiary institution!! And if you are not a participant, be sure to come to support your friends and who knows you may walk away with prize too!! 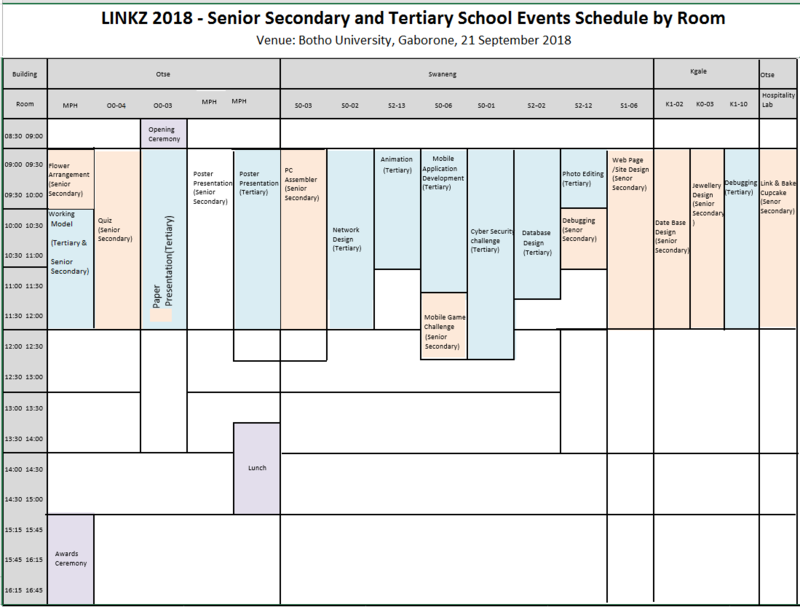 LINKZ 2018 – The ICT Challenge is back! Game On! !